We offer a range of business advisory services within compliance, accounting and forensics. 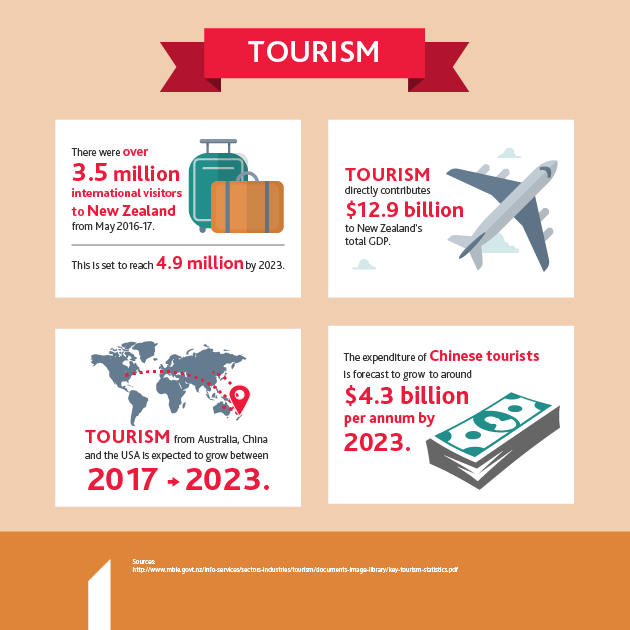 Tourism is growing (it contributes 5.6 per cent of New Zealand's total GDP) and your business needs to be prepared for this. We'll help you to navigate the changes presented by the increase in visitors from China, as well as other aspects of the industry such as sports tourism and the new social economy. We understand this industry inside and out, which is why we're in the best position possible to help you seize the important business opportunities presented by these changes. We work with industry bodies to find ways of redistributing tourists into more rural and provincial areas of the country, and help businesses to ensure they are maintaining the quality of their services while still making the most out of the tourism boom. "We’ve been working with BDO for the past six years. During that time, we have broadened our portfolio to include JUCY Cruise and JUCY Snooze, we’ve scoped out the UK market, entered the US, invested in Your Drive and that’s on top of continued year-on-year growth in the rentals businesses, so it’s been a pretty busy few years! What we like about BDO is that they ‘get’ us. It was clear from the start that Richard and the team made a real effort to understand our business – not just the numbers – but the culture, the people and what makes us unique. It doesn’t matter how big or small the issue is…..we know that the team at BDO have our backs." We have been working with BDO locally for the past three years and internationally for the past seven years. During that time, in New Zealand we have developed from managing a hotel in Queenstown to acquiring that hotel, opening a new hotel in Auckland and signing another Auckland hotel to open in 2018. Internationally we have grown from 65 hotels and projects in 2010 to over 145 hotels and projects with 24,000 rooms in 21 countries. Due to our global expansion we appreciate that BDO is international and can assist us wherever in the world we need them.